Reliability and Cost – Critical Considerations for Trace Heating Customers. Delivering the right products for all trace heating applications. Why chose Drexan's trace heating systems? Reliability and Cost. Reliability starts with a properly designed system. Our highly trained team are here to respond to your most demanding product application. Our TechLine is accessible from anywhere in North America so that your design, application, and installation questions are answered quickly and efficiently. A properly designed trace heating system minimizes the costs in both areas. An improperly designed trace heating system can result in higher than necessary wattages and a higher number of circuits being specified, which translates into higher installed costs and energy consumption. 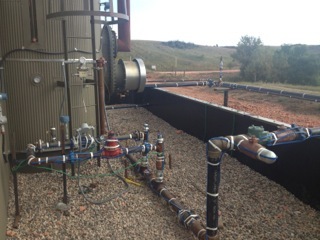 It is critical to start up front with a properly designed trace heating system by a team of skilled professionals.